The ATO has released material saying that SMSF property developments can be considered tax avoidance schemes that are ‘too good to be true’. Within the program called ‘Super Scheme Smart’, the ATO aims to educate the public about SMSF strategies that concern it. The page, which can be accessed here, states that the ATO are seeking to close down tax avoidance schemes that are designed to provide an unfair tax advantage. In particular, the ATO take the view that property development may give rise to non-arm’s length income. Non-arm’s length income occurs where parties do not act at arm’s length, causing the SMSF’s income to be inflated and taxed at a rate of 45%. Accordingly, it is best practice to obtain objective evidence (such as arm’s length quotes from unrelated sources) to be able to demonstrate that an arrangement is arm’s length. The page also suggests the ATO will consider Part IVA action where property development resulted in an unfair tax advantage. The trustee of a regulated superannuation fund must ensure that the fund is maintained for certain prescribed purposes. The purposes include items such as the provision of benefits for each member of the fund on or after the member’s retirement. This is referred to as the sole purpose test. The recent Federal Court case of Aussiegolfa Pty Ltd (Trustee) v Commissioner of Taxation  FCA 1525 (‘Aussiegolfa’) has thrown doubt on the application of the sole purpose test in practice. The case suggests that if a purpose not contemplated by the sole purpose test were to exist and be revealed through evidence (eg, emails), this would likely cause the trustee of the fund to fail the sole purpose test. As an example, if the ATO is able to identify that an SMSF is being used for a purpose of running a profit making venture or business, this likely falls foul of the sole purpose test if Aussiegolfa is to be taken at face value. The case is being appealed to the Full Federal Court, so the industry should expect further news on this topic. An important question to ask is whether an SMSF is able to borrow to fund property development. At the risk of oversimplifying the law, an SMSF cannot do this. With some limited exceptions, an SMSF is broadly only permitted to borrow to acquire a single piece of real estate. The borrowing must meet the strict criteria for a limited recourse borrowing arrangement (often referred to as a bare trust arrangement). The SMSF cannot borrow to fund improvements to the land. Also, while the loan to the SMSF is in place, the real estate cannot be fundamentally changed. Some examples of a fundamental change would be a subdivision, the construction of a building on what was originally vacant land or a residential building being changed to a commercial building. These would all give rise to superannuation law problems if the loan was still in place. Accordingly, if an SMSF needs to borrow to acquire the real estate, this usually prevents any property development taking place before the loan is paid off. The position can be more flexible if the SMSF has the cash to buy land and develop it without borrowing, or if a unit trust or company is used. The strategy for using a unit trust for property development differs depending on whether or not the trustees of the SMSF concerned have friends or contacts that are not related that will also participate in the unit trust. Where an SMSF does have one or more unrelated joint venturers, some choose to have the development occur in a unit trust (or a company), with the SMSF being one of the ‘investors’. In certain special circumstances, this can allow borrowing at the unit trust or company level, without needing a limited recourse borrowing arrangement in the SMSF. Ensuring that joint venturers are not ‘related’ in the relevant sense involves a thorough consideration of ‘associate’ laws. The ATO’s warnings on property development and the sole purpose test are also a risk here. On the other hand, where there is no entity other than the SMSF that can participate (or where the other participants are related entities such as a discretionary trust), it is theoretically possible to use a related, non-geared unit trust to buy real estate. If the unit trust does not borrow money and that real estate can be subdivided or built on later without the activity constituting a business, it might fall within the in-house asset exemption and is referred to as a ‘non-geared unit trust’. Of course, this is very tricky since the meaning of ‘business’ is not clear cut and depends on the facts of each case. There are also many other things that unit trust cannot do under the law if it is to maintain the ‘non-geared unit trust’ status. In theory it is possible to use a limited recourse borrowing arrangement to acquire units in a unit trust, but in practice it is difficult to show that this is arm’s length. The ATO’s safe harbour terms for limited recourse borrowing arrangements (PCG 2016/5) do not apply where the units acquired are unlisted units. 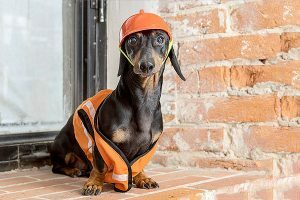 SMSF members who are builders or otherwise involved in property development may want to use their own services in an SMSF property development. The first thing to remember here is that SMSF trustees are not allowed to receive remuneration for services performed in relation to the fund, or else the fund fails to qualify as an SMSF. There are some exceptions to this, such as where the trustee is qualified and licenced, and carries on the same services in a business that is done for the public. Secondly, SMSFs are not allowed to acquire assets from related parties (such as building materials that become the SMSF’s property when they are affixed to the land). A second thing to remember here is that in the March 2013 ATO National Tax Liaison Group Superannuation Committee meeting, the ATO stated that where a related party improves an SMSF asset at no cost to the SMSF, for the purpose of benefiting the SMSF, this will constitute a contribution reflective of the increase in market value of the SMSF’s assets. Accordingly, unless related party builders and service providers are remunerated, their services could give rise to a contribution. This can give rise to a tension with the prohibition on trustee remuneration. Also, typically the trustees are involved in some way in managing these developments and may not charge for their time. However, where there is a substantial addition of value to the real estate investment as a result of the member or related party’s involvement, then a contribution risk exists. Download date: 25/04/2019 Copyright © DBA Lawyers Pty Ltd.